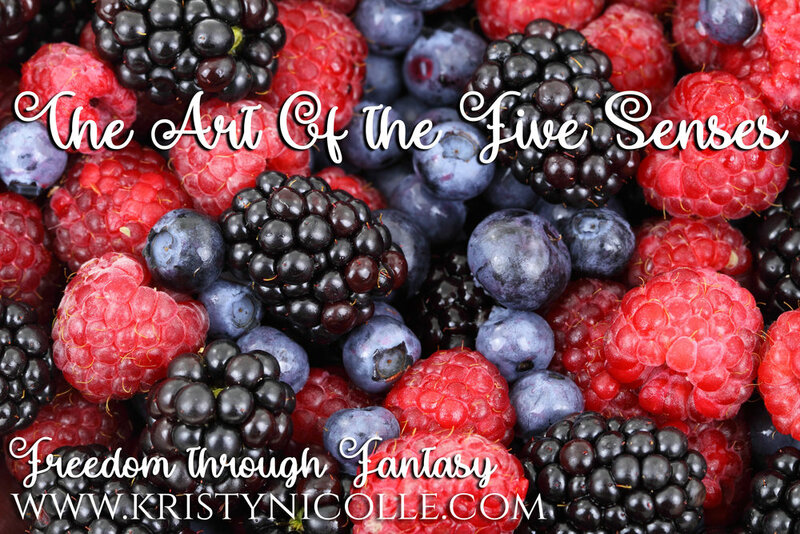 The Art Of The Five Senses. Disclosure- Some of the links below are affiliate links, meaning, at no additional cost to you, I will earn commission if you click through and make a purchase. As I was thinking about writing this piece, it occurred to me that as the world moves closer and closer to virtual reality technology becoming mainstream and commonplace in every household, the closest medium of art to this ideal is literature. Television, radio, paintings, sculpture… all these mediums have perhaps 2, maybe 3 of the senses at their disposal in order to make the consumer feel, but none except literature evoke all five senses in such a complete and conclusive manner. As a writer of first person fiction, I am often complimented on how I place the reader into the story, and I can think of no other way for a new writer to do this more successfully than to make full use of all five senses. Sight- Sight, though important of course, is in some regards of modern literature, overused in my opinion, or used on its own and without accompaniment far too often. With the oversaturation of the aesthetic and the visual in our society, many authors find that they are writing books which come across more and more as movies. This being said, aesthetics are important, and I enjoy branding my work by use of specificity with regard to colour and aesthetic theming surrounding certain characters, locations, and even experiences. Take Lucifer in The Ashen Touch Trilogy for example. In book one- The Opal Blade, she wears a lot of red, resonant of the apple which tempted Eve, the bloodshed she is capable of, sin, wrath, and of course lust with regard to Thane. As we move into the second book- The Onyx Hourglass- however, we can see the colours around her changing. She relies still on reds toward the beginning of the book, though these come in darker shades such as crimson and burgundy, but as we journey further through the novel, she begins to wear more grey, which speaks to the ambivalence and indecision of where her loyalties lie, as well as the melding of the light and dark sides of her. Touch- Touch and sensation are extremely important, as they give us a grounding and specific empathy for the characters. We understand touch, sensation, pleasure, and pain. All of these can be great indicators of situation, and also gives us a relationship between the characters and their environment. This helps us develop tone for settings. For example- In The Tidal Kiss Trilogy- The Mer love their surroundings, and the sensations associated with it include cool silk rushing over hot skin. However, with Mortaria, everything about the place creates a strained sensation of unfulfilled desire. The stillness of the air leaves the skin muggy and wanton for relief. The landscape is harsh on the body, and the mind, making the individuals serving their penance crave release from their physical forms. Taste- Taste is one of the more overwhelming senses which the writer may capture. As you may know from personal experience, eating something either delicious or disgusting can cause the world to stop and the other senses such as smell to enhance, while others such as our awareness of sound may diminish slightly. Food is often a great indicator of region, culture, or occasion, and can be utilised to create a fully comprehensive and unique experience for the reader. The writer may even consider describing the taste of the air, or of the immaterial such as freedom- which some have been known to equate with the all-American apple pie. Smell- Smell is unique, and particularly evocative. I often find, that as with myself, it makes sense to lead into flashbacks, memories, or dream states with scents. I also make a point to link smells and tastes together, as well as giving romantically involved characters an awareness of one another’s smell. I think that smell is often underused, and quite often the first thing we notice about the real world. Why then, should this be any different for our characters? Sound- The one thing which always strikes me about the use of sound within the work of new writers is the solitary way in which it is used. Sound rarely comes to us as one noise and then another. Instead, we are at any time hearing a multitude of sounds with meld together. I also encourage new writers to not only consider the sound itself, whether that be deep or high pitched, but also the rhythm of the noise, and whether or not sounds melding together form a new auditory experience all together. Sound is perhaps the second most used descriptor in first person fiction, and I have seen a lot of fabulous examples of it being described by use of the other senses, specifically texture. For example- the sound of one’s voice being comparable to duchess silk falling back through one’s fingers- A.K.A- a tone with a rough and grating edge which could be smooth in another circumstance. Limitations of the senses and the unreliable narrator- As much as the senses can be used to consume the reader with the first person medium and put them right in the story, we must not forget the shortcomings of this medium too. While senses are an amazing descriptive and immersive tool, they also have their limits. While a reader may get a fuller view of the picture through the five senses, the picture will never be complete without an omniscient narrator. First person will always have biases and blind spots, and this is something the writer must always consider, especially because of the fact that these flaws in perception, these mistakes in the analysis of our external world can make excellent plot-points or twists. It is a hindrance, as all bias and limits of perception are within literature, but the well equipped also knows it can make a good story great by misleading and surprising the reader. To conclude, new writers should ensure they are aware of and know how to utilise all the senses. It is via a merging of all five that we not only tell a story to a reader but evoke an experience with which they can empathise with and learn from. Sensory experience is something commonplace in some shape or form to all human beings, and so it is through this medium we can create a greater level of understanding, of visualisation of our material through sensory nostalgia. We may not know what it feels like to be shot in the lung, but through metaphor and simile using the senses the writer can find a way to express the sensation through those which are more familiar. So, writers, my advice to you is to always consider for every scene the five senses before you begin. I always make a mind map for all my locations and characters, including associated scents, textures, tastes, colours and sounds. This really helps you build an all-encompassing picture, delivering an insiders perspective and experience rather than that of an onlooker.